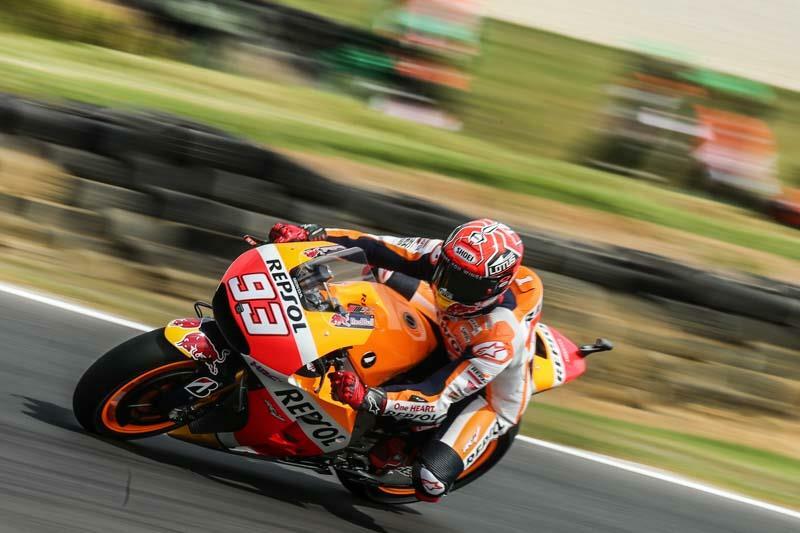 Marc Marquez was fastest in FP3 with Cal Crutchlow second fastest after a late lap from the British rider. 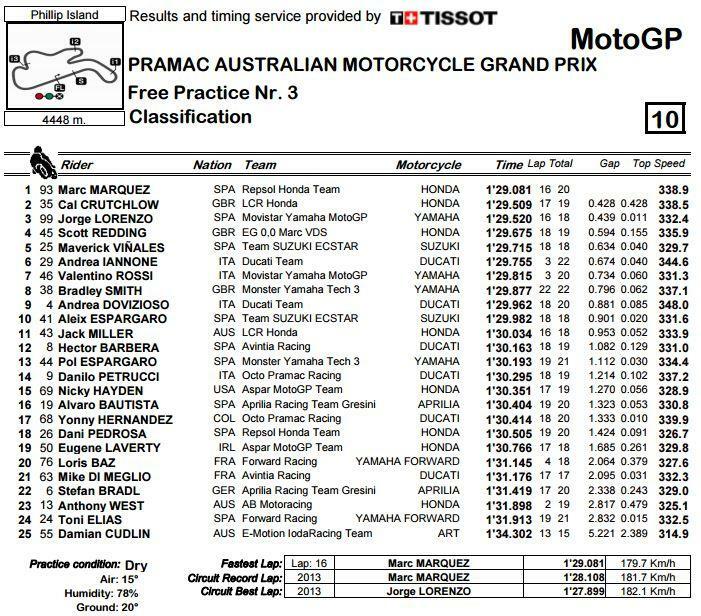 The Honda looked much more competitive in this morning's session but with Jorge Lorenzo having failed to improve his time from yesterday it will only be in qualifying that we get a true picture of what to expect from the favourites. All three British riders made it through to Q2 with Crutchlow joined by Scott Redding and Bradley Smith. The opening qualifying practice should be exciting with Aleix Espargaro, Pol Espargaro, Danilo Petrucci, Yonny Hernandez, Jack Miller and Nicky Hayden all hoping to make it through to the shootout.